1.1.1 Non-text Content: All non-text content that is presented to the user has a text alternative that serves the equivalent purpose, except for the situations listed here. (Level A) Supports All non-text content available in the New Digication has a text alternative available. 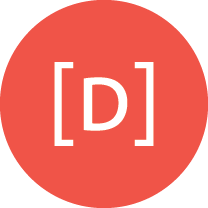 Digication provides users the ability to add non-text alternatives to their ePortfolio to facilitate better accessibility with their ePortfolio viewers. It is the user’s responsibility to make sure the content they generate is accessible. 1.2.1 Audio-only and Video-only (Prerecorded): For prerecorded audio-only and prerecorded video-only media, the following are true, except when the audio or video is a media alternative for text and is clearly labeled as such: (Level A) N/A New Digication ePortfolios do not feature pre-recorded audio-only or video only media, however users have the ability to upload their own media that can be audio-only or video-only. Users will have the option to add their own closed captioning. 1.2.2 Captions (Prerecorded): Captions are provided for all prerecorded audio content in synchronized media, except when the media is a media alternative for text and is clearly labeled as such. (Level A) Supports Closed captioning has been provided for the New Digication intro video available during ePortfolio creation. It is the responsibility of any ePortfolio users to provide closed captioning for any pre-recorded audio content in synchronized media uploaded to their ePortfolio. Digication has provided the ability for users to upload closed captioning for any user-provided or generated media. 1.2.3 Audio Description or Media Alternative (Prerecorded): An alternative for time-based media or audio description of the prerecorded video content is provided for synchronized media, except when the media is a media alternative for text and is clearly labeled as such. (Level A) Supports The content of the New Digication introduction video is available through the screens of the modal window where the introduction video is present. It is the responsibility of any ePortfolio users to provide any alternatives to time-based media they may upload. 1.2.4 Captions (Live): Captions are provided for all live audio content in synchronized media. (Level AA) Supports Embedded audio from major service providers such as YouTube and Vimeo allow for live audio broadcasts to include closed captioning. 1.2.5 Audio Description (Prerecorded): Audio description is provided for all prerecorded video content in synchronized media. (Level AA) Supports with Exceptions The New Digication introduction video is available with closed captioning but not an audio description. It is the responsibility of any ePortfolio users to provide an audio description for any pre-recorded video content uploaded to their ePortfolio. Digication has provided the ability for users to upload an audio description for any user-provided or generated video. 1.3.1 Info and Relationships: Information, structure, and relationships conveyed through presentation can be programmatically determined or are available in text. (Level A) Supports with Exceptions Most of the New Digication presents information structure in a way that can be programmatically determined. There are some forms present that do not indicate required fields. 1.3.2 Meaningful Sequence: When the sequence in which content is presented affects its meaning, a correct reading sequence can be programmatically determined. (Level A) Supports New Digication pages and information are presented in a way that they can be read sequentially when needed or programmatically determined. 1.3.3 Sensory Characteristics: Instructions provided for understanding and operating content do not rely solely on sensory characteristics of components such as shape, size, visual location, orientation, or sound. (Level A) Supports Instructions provided within the New Digication screens and in our support documentation do not rely on sensory characteristics to describe components relative to the instructions. 1.4.1 Use of Color: Color is not used as the only visual means of conveying information, indicating an action, prompting a response, or distinguishing a visual element. (Level A) Supports with Exceptions Most of the New Digication utilizes multiple visual queues in appropriate areas, but currently, pages that are selected or deselected while using Publish Pages are only discernible through color. 1.4.2 Audio Control: If any audio on a Web page plays automatically for more than 3 seconds, either a mechanism is available to pause or stop the audio, or a mechanism is available to control audio volume independently from the overall system volume level. (Level A) Supports The New Digication does not utilize auto-playing audio on any page or provide the ability for user-provided audio to automatically play. 1.4.3 Contrast (Minimum): The visual presentation of text and images of text has a contrast ratio of at least 4.5:1, except for the following: (Level AA) Supports with Exceptions Most of the New Digication text and images are presented with the appropriate contrast except for a few areas. Users have the ability to upload their own multimedia and colorize custom text. It is the responsibility of the user to ensure any content they provide is accessible. 1.4.4 Resize text: Except for captions and images of text, text can be resized without assistive technology up to 200 percent without loss of content or functionality. (Level AA) Supports Using browser functionality, users can increase text size within the New Digication without loss of content or functionality. Users have the ability to provide custom text on their ePortfolios. It is the responsibility of the user to ensure any content they produce remains accessible. 1.4.5 Images of Text: If the technologies being used can achieve the visual presentation, text is used to convey information rather than images of text except for the following: (Level AA) Supports The New Digication does not utilize images of text to convey information. Users have the ability to provide custom images for their ePortfolios that may contain text to convey information on the page where the image is present. It is the responsibility of the user to ensure any content they provide remains accessible. 2.1.1 Keyboard: All functionality of the content is operable through a keyboard interface without requiring specific timings for individual keystrokes, except where the underlying function requires input that depends on the path of the user's movement and not just the endpoints. (Level A) Supports with Exceptions Most of New Digication ePortfolio functionality can be utilized through the keyboard except for a few areas. Currently, content modules can be moved between slides using keyboard controls, however, granular control over where a content module is placed within a slide or its size can only be completed using drag-and-drop. ePortfolio pages are also only able to be reordered using drag-and-drop. 2.1.2 No Keyboard Trap: If keyboard focus can be moved to a component of the page using a keyboard interface, then focus can be moved away from that component using only a keyboard interface, and, if it requires more than unmodified arrow or tab keys or other standard exit methods, the user is advised of the method for moving focus away. (Level A) Supports with Exceptions Most of New Digication ePortfolios are keyboard accessible however there are a few areas where keyboard accessibility is limited. Since we allow 3rd party content to be embedded within New Digication, this user-generated content can contain elements that are not easily navigated with a keyboard. 2.2.1 Timing Adjustable: For each time limit that is set by the content, at least one of the following is true: (Level A) Supports New Digication ePortfolios do not feature content with a time limit that is less than 20 hours. 2.2.2 Pause, Stop, Hide: For moving, blinking, scrolling, or auto-updating information, all of the following are true: (Level A) N/A New Digication ePortfolios do not feature blinking, scrolling, or auto-updating information. 2.3.1 Three Flashes or Below Threshold: Web pages do not contain anything that flashes more than three times in any one second period, or the flash is below the general flash and red flash thresholds. (Level A) Supports New Digication ePortfolios do not cause the screen to flicker at all however users have the ability to upload their own multimedia that may contain flickering. 2.4.1 Bypass Blocks: A mechanism is available to bypass blocks of content that are repeated on multiple Web pages. (Level A) Supports Digication provides a consistent section of navigation elements across most pages, and provides ARIA-compatible roles for describing and skipping these regions. Digication does not have other blocks of content repeated across pages. 2.4.2 Page Titled: Web pages have titles that describe topic or purpose. (Level A) Supports Web pages produced and provided by Digication have titles that describe their purpose. Digication provided the ability for user-generated ePortfolio pages to be titled appropriately for compliance. 2.4.3 Focus Order: If a Web page can be navigated sequentially and the navigation sequences affect meaning or operation, focusable components receive focus in an order that preserves meaning and operability. (Level A) Supports New Digication web pages that can be navigated sequentially can also be accessed sequentially. 2.4.4 Link Purpose (In Context): The purpose of each link can be determined from the link text alone or from the link text together with its programmatically determined link context, except where the purpose of the link would be ambiguous to users in general. (Level A) Supports Links in New Digication are discernable from the link text or link context. Digication provides the ability for users to create their own links in rich text modules. It is the user’s responsibility to make sure that links are accessible. 2.4.5 Multiple Ways: More than one way is available to locate a Web page within a set of Web pages except where the Web Page is the result of, or a step in, a process. (Level AA) Supports with Exceptions Some New Digication pages offer multiple methods to locate and access web pages within a set of web pages. 2.4.6 Headings and Labels: Headings and labels describe topic or purpose. (Level AA) Supports All New Digication screens and pages are labeled appropriately with headings and descriptions. Digication provides the ability for user-generated ePortfolio pages to be labeled and have consistent headings. It is the user’s responsibility to make sure page slides and all content are labeled correctly with the appropriate heading or description. 2.4.7 Focus Visible: Any keyboard operable user interface has a mode of operation where the keyboard focus indicator is visible. (Level AA) Supports An on-screen focus indicator is present when any New Digication user interface elements are in focus. 3.1.1 Language of Page: The default human language of each Web page can be programmatically determined. (Level A) Supports The default human language for each New Digication page is English. 3.1.2 Language of Parts: The human language of each passage or phrase in the content can be programmatically determined except for proper names, technical terms, words of indeterminate language, and words or phrases that have become part of the vernacular of the immediately surrounding text. (Level AA) Does Not Support Currently, New Digication webpages are only available in the English language. 3.2.1 On Focus: When any component receives focus, it does not initiate a change of context. (Level A) Supports Components in the New Digication that receive focus need to be activated for any change of context to occur. 3.2.2 On Input: Changing the setting of any user interface component does not automatically cause a change of context unless the user has been advised of the behavior before using the component. (Level A) Supports Changing any setting or providing user input in the New Digication does not automatically cause a change of context unless specified by the actionable area. 3.2.3 Consistent Navigation: Navigational mechanisms that are repeated on multiple Web pages within a set of Web pages occur in the same relative order each time they are repeated, unless a change is initiated by the user. (Level AA) Supports Navigation controls are repeated consistently across the New Digication. 3.2.4 Consistent Identification: Components that have the same functionality within a set of Web pages are identified consistently. (Level AA) Supports Icons, symbols and legends used in the New Digication are labeled and identified consistently throughout the program. 3.3.1 Error Identification: If an input error is automatically detected, the item that is in error is identified and the error is described to the user in text. (Level A) Supports Any user input error in New Digication ePortfolios is clearly identified and described to the user. 3.3.2 Labels or Instructions: Labels or instructions are provided when content requires user input. (Level A) Supports All input fields in the New Digication that require a user’s input are labeled appropriately or include text-based instructions on how to complete the input field. 3.3.3 Error Suggestion: If an input error is automatically detected and suggestions for correction are known, then the suggestions are provided to the user, unless it would jeopardize the security or purpose of the content. (Level AA) Supports Where applicable, when the user makes an input error that we can programmatically, the New Digication will provide a suggestion to the user to bring the input into a valid state. 3.3.4 Error Prevention (Legal, Financial, Data): For Web pages that cause legal commitments or financial transactions for the user to occur, that modify or delete user-controllable data in data storage systems, or that submit user test responses, at least one of the following is true: (Level AA) Supports When a user accepts the End User License Agreement, the data is checked for input errors and the user is provided an opportunity to correct them. 4.1.1 Parsing: In content implemented using markup languages, elements have complete start and end tags, elements are nested according to their specifications, elements do not contain duplicate attributes, and any IDs are unique, except where the specifications allow these features. (Level A) N/A New Digication ePortfolios do not support markup languages. 4.1.2 Name, Role, Value: For all user interface components (including but not limited to: form elements, links and components generated by scripts), the name and role can be programmatically determined; states, properties, and values that can be set by the user can be programmatically set; and notification of changes to these items is available to user agents, including assistive technologies. (Level A) Supports New ePortfolio elements are labeled with applicable ARIA-compatible attributes to provide a clear understanding of the component interaction. Where applicable, we also announce changes in the component state via ARIA-compatible alerts. (a) When software is designed to run on a system that has a keyboard, product functions shall be executable from a keyboard where the function itself or the result of performing a function can be discerned textually. Supports Digication makes every effort to ensure keyboard accessibility and navigation in New Digication ePortfolios, however some visual features such as resizing require drag-and-drop interactions. While the drag-and-drop actions are not able to be activated with a keyboard, content is always read aloud via assistive technology. (b) Applications shall not disrupt or disable activated features of other products that are identified as accessibility features, where those features are developed and documented according to industry standards. Applications also shall not disrupt or disable activated features of any operating system that are identified as accessibility features where the application programming interface for those accessibility features has been documented by the manufacturer of the operating system and is available to the product developer. Supports New Digication ePortfolios do not disrupt or disable any features of operating systems or assistive devices. (c) A well-defined on-screen indication of the current focus shall be provided that moves among interactive interface elements as the input focus changes. The focus shall be programmatically exposed so that assistive technology can track focus and focus changes. Supports While using screen readers such as VoiceOver, a high-contrast outline will be generated to use as your indicator. By default, New Digication doesn’t have a defined on-screen indicator for non-form elements. (d) Sufficient information about a user interface element including the identity, operation and state of the element shall be available to assistive technology. When an image represents a program element, the information conveyed by the image must also be available in text. Supports The user’s web browser provides this functionality. (e) When bitmap images are used to identify controls, status indicators, or other programmatic elements, the meaning assigned to those images shall be consistent throughout an application's performance. Supports Where single images are used, such as a “+” or “-“ button for adding or removing, they are used in the same manner throughout the site. Additionally, such images are given alt text to describe the image’s function. Where applicable, text is provided to let screen readers read the purpose of these elements. (f) Textual information shall be provided through operating system functions for displaying text. The minimum information that shall be made available is text content, text input caret location, and text attributes. Supports The user’s web browser provides this functionality. (g) Applications shall not override user selected contrast and color selections and other individual display attributes. Supports New Digication ePortfolios do not override display attributes. (h) When animation is displayed, the information shall be displayable in at least one non-animated presentation mode at the option of the user. Supports New Digication ePortfolios do not utilize animations. Users have the ability to upload content or embed which may include animations and are responsible for making uploaded content accessible. (i) Color coding shall not be used as the only means of conveying information, indicating an action, prompting a response, or distinguishing a visual element. Supports New Digication ePortfolios do not use color as the only means of conveying information. (j) When a product permits a user to adjust color and contrast settings, a variety of color selections capable of producing a range of contrast levels shall be provided. Supports By default, New Digication styles interface elements comply with Section 508’s contrast and color settings. Since user-generated content can be recolored by the user, it is the responsibility of the user to choose appropriate combinations of colors to ensure accessibility. (k) Software shall not use flashing or blinking text, objects, or other elements having a flash or blink frequency greater than 2 Hz and lower than 55 Hz. Supports with Exceptions New Digication ePortfolios do not cause the screen to flicker at all however users have the ability to upload their own multimedia that may contain flickering. (l) When electronic forms are used, the form shall allow people using assistive technology to access the information, field elements, and functionality required for completion and submission of the form, including all directions and cues. Supports with Exceptions Most of the New Digication is accessible with assistive technology but there are a few areas where keyboard access with electronic forms is limited. (a) A text equivalent for every non-text element shall be provided (e.g., via "alt", "longdesc", or in element content). Supports Images relevant to user interaction all contain helpful alt-tag descriptions. Non-interactive elements used exclusively for styling do not have text descriptions. Images uploaded by the user are able to be set with alt-text. (b) Equivalent alternatives for any multimedia presentation shall be synchronized with the presentation. Supports When the user is creating a new ePortfolio, they will encounter an introductory video to the New Digication with closed captioning as an option. Users have the ability to upload multimedia and make that content accessible with the options provided by Digication. (c) Web pages shall be designed so that all information conveyed with color is also available without color, for example from context or markup. Supports New Digication ePortfolios do not use color as the only means of conveying information. (d) Documents shall be organized so they are readable without requiring an associated style sheet. Supports The majority of documents, are organized so that they are readable without requiring an associated style sheet. For documents that are too complex to be displayed in a linear fashion, the document is still readable without associated style sheet, but some of the logic conveyed by the user interface may be lost due to the lack of the style sheet. (e) Redundant text links shall be provided for each active region of a server-side image map. Supports New Digication ePortfolios do not use server-side image maps. (f) Client-side image maps shall be provided instead of server-side image maps except where the regions cannot be defined with an available geometric shape. Supports New Digication ePortfolios do not use client-side image maps. (g) Row and column headers shall be identified for data tables. Supports Data tables all contain relevant column and row headers. (h) Markup shall be used to associate data cells and header cells for data tables that have two or more logical levels of row or column headers. Supports with exceptions New Digication ePortfolios do not have any tables with two or more levels of headers, however, users have the ability to create their own tables that can be styled to replicate two or more levels of headers. Multiple headers is not currently supported. (i) Frames shall be titled with text that facilitates frame identification and navigation Supports New Digication ePortfolios do not utilize frames, but does provide appropriate titles where iframes are used. (j) Pages shall be designed to avoid causing the screen to flicker with a frequency greater than 2 Hz and lower than 55 Hz. Supports New Digication ePortfolios do not cause the screen to flicker at all however users have the ability to upload their own multimedia that may contain flickering. (k) A text-only page, with equivalent information or functionality, shall be provided to make a website comply with the provisions of this part, when compliance cannot be accomplished in any other way. The content of the text-only page shall be updated whenever the primary page changes. Supports New Digication ePortfolios comply with the requirements in this section which makes a text-only page unrequired. (m) When a web page requires that an applet, plug-in or other application be present on the client system to interpret page content, the page must provide a link to a plug-in or applet that complies with §1194.21(a) through (l). Supports Although New Digication ePortfolios do not require any applets or plugins, the application checks for Flash if your web browser is unable to support the HTML5 version of Record Audio, Record Video, or Take Picture. If Flash is not installed, a download link will be provided. (n) When electronic forms are designed to be completed on-line, the form shall allow people using Assistive Technology to access the information, field elements, and functionality required for completion and submission of the form, including all directions and cues. Supports with Exceptions Most of the New Digication is accessible with assistive technology but there are a few areas where keyboard access with electronic forms is limited. (o) A method shall be provided that permits users to skip repetitive navigation links. Supports During the ePortfolio creation process, you have the ability to skip the New Digication introductory slides. (p) When a timed response is required, the user shall be alerted and given sufficient time to indicate more time is required. Supports with Exceptions Digication provides an auto- logout feature to ensure users don’t leave their account logged in at public terminals. At this time, you are logged out without warning. (a) At least one mode of operation and information retrieval that does not require user vision shall be provided, or support for Assistive Technology used by people who are blind or visually impaired shall be provided. Supports with Exceptions Most of the New Digication works well with screen readers such as JAWS or VoiceOver, but Slide, Module, and Page organization requires sight and mouse interaction for resizing and reordering. (b) At least one mode of operation and information retrieval that does not require visual acuity greater than 20/70 shall be provided in audio and enlarged print output working together or independently, or support for Assistive Technology used by people who are visually impaired shall be provided. Supports The New Digication does not override any built-in screen magnification or zoom functionality provided by the browser or assistive device. (c) At least one mode of operation and information retrieval that does not require user hearing shall be provided, or support for Assistive Technology used by people who are deaf or hard of hearing shall be provided. Supports When the user is creating a new ePortfolio, they will encounter an introductory video to the New Digication with closed captioning as an option. ePortfolios do not require hearing for any functionality, however, users have the ability to upload their own multimedia that may require hearing. Users have the option to add their own closed captioning. (d) Where audio information is important for the use of a product, at least one mode of operation and information retrieval shall be provided in an enhanced auditory fashion, or support for assistive hearing devices shall be provided. Supports When the user is creating a new ePortfolio, they will encounter an introductory video to the New Digication with closed captioning as an option. (e) At least one mode of operation and information retrieval that does not require user speech shall be provided, or support for Assistive Technology used by people with disabilities shall be provided. Not Applicable New Digication ePortfolios do not require speech for any functionality. (f) At least one mode of operation and information retrieval that does not require fine motor control or simultaneous actions and that is operable with limited reach and strength shall be provided. Supports with Exceptions Most New Digication features and functions do not require fine motor skills. At this time, resizing and moving modules as well as reordering pages, requires clicking and dragging. (a) Product support documentation provided to end-users shall be made available in alternate formats upon request, at no additional charge. Supports New Digication ePortfolio support documentation is available at https://support.digication.com/hc/en-us/categories/204262988 and alternate formats are available upon request at no charge. (b) End-users shall have access to a description of the accessibility and compatibility features of products in alternate formats or alternate methods upon request, at no additional charge. Supports Accessibility and compatibility documentation is available upon request at no charge. (c) Support services for products shall accommodate the communication needs of end-users with disabilities. Supports Digication provides support in any manner to accommodate the needs of users with disabilities.